Do you remember that kid who always asked to come over so he or she could play with your stuff? Maybe you were that kid. Hey, no judgment here. Well actually, yes, a little judgement here (moocher). Truth-be-told, I recently realized that I was that kid (a 29 year old version)…with cable tv. I tried to be discreet, tried to subliminally plant ideas in other people’s head to have people over for the big game. I even planned my oil changes on my car to be at a time where I could watch a specific football game on network tv. Many-a-night I went back into work (local high school) and set up shop in the school weight room so I could watch the NBA playoffs. Then I tried YouTube TV. The 7 day trial was kind of like an intervention of sorts. I didn’t have to be that kid. I timed the trial to correspond to college football bowl games and the college football playoff. And now I’m sold. 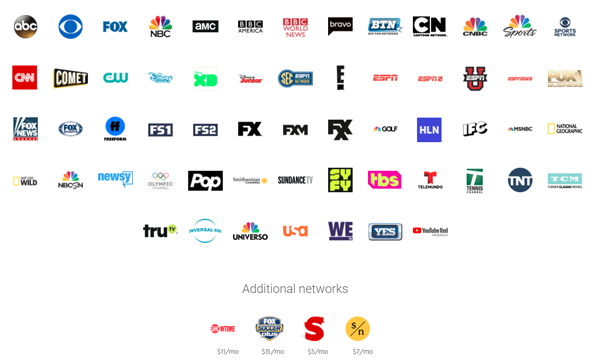 Price…YouTube TV is $35 per month, and I get a heck’uva lot more than a basic cable provider that I was exploring options through. Sharing the price…I can share my subscription with up to 5 other people. We can all watching different shows at the same time, and none of my watch history or recordings are visible to them. (The moocher in me says I should have just found a person already using YouTube TV and bribed them to let me in on their account!). Channel selection…I wanted sports channels, and the major broadcast networks (because of sports, of course). YouTube TV was a perfect fit for me. All major networks? Check. Big Ten Network? (tragically I’ve been a Nebraska basketball fan for my life) Check. ESPN, ESPN2, FS1, FS2, Fox Sports Midwest, Tennis Channel, Golf Channel, NBC Sports, checks for all. 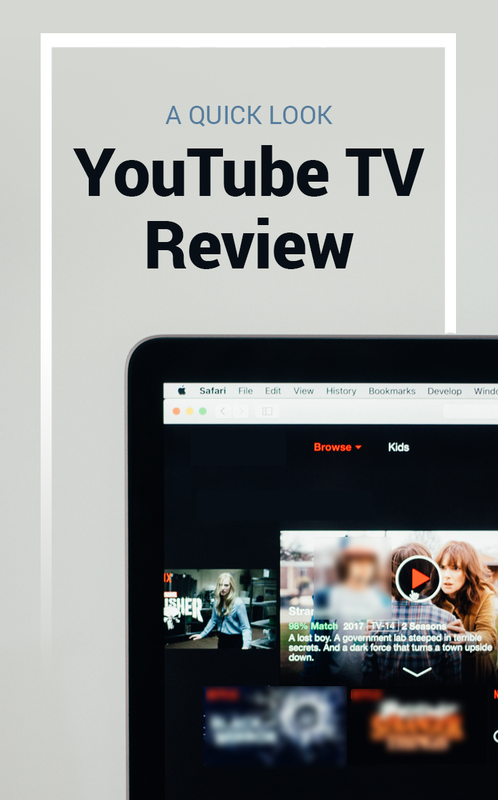 An overview of YouTube TV channels. I did a quick comparison to a couple other options (YouTube Red is only YouTube ad-free video streaming and music). YouTube TV has been incredibly easy to use. Recording shows is done with one click. You can watch a channel and browse other channels at the same time. I’ve added 2 family members (darn moochers) with ease. My home has the slowest internet offered by the local provider and I still have no issues streaming the channels. Now if my sports teams would cooperate like YouTube TV has, it would be even more amazing. In the past two months I’ve gone from moocher to channel philanthropist (still have 3 spots open for my family account for any takers!). YouTube TV has worked out great for me because it fit my needs of flexibility and sports channels. What about you? With so many options, how have you decided which television option is best? Here’s a few ways you can save more money on your streaming services. Whats the point of paying $40 a month for “unlimited DVR” when if fact most of the shows are VOD with forced commercials. So, Google, instead of using your subscription fee to pay to carry commercial free or commercial forward-able content, pockets your money and gives you VOD Crap that costs them NOTHING. I’m OUT! Hear ya. Hulu does this too. I enjoyed Matthews YouTube TV review. I’d ask, however, that you clarify that though you can share your account with 5 other people, your group is only allowed to 3 streams at any given time. If a 4th tries to join the oldest of the original 3 will terminate.